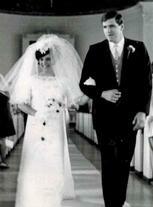 After college married my high school sweet heart Greg Hudecki in 1968. Greg went to UB dental school then Greg went into the Army for two years where our two boys were born. Stay at home Mom did lots of volunteer work until 1987 at age 40 realizing that there was no treatment for kids suffering from chemically dependency co-founded the Kids Escaping Drugs Campaign, (KED) which raised all of the dollars to build the Renaissance Campus a 62 bed inpatient campus for chemically dependent adolescents ages 12 - 21. The Renaissance campus is in West Seneca NY. Retired as Executive Director of KED in 2012 after 25 years. I am now back again volunteering in the community, and a not for profit Owners Rep/Capital Project Consultant for McGuire Development. Enjoying my 6 grand kids, playing golf and traveling with Greg. Walking to school everyday with my friends. Going to Watson's after school for French Fries. JoAnne Dinino Hudecki updated her profile. View. JoAnne Dinino Hudecki has a birthday today. JoAnne Dinino Hudecki posted a message. JoAnne Dinino Hudecki changed her "Then" picture. New comment added. Looking forward to tomorrow night. My sister Pat is back in town so she is going to join us. JoAnne Dinino Hudecki posted a message. New comment added.